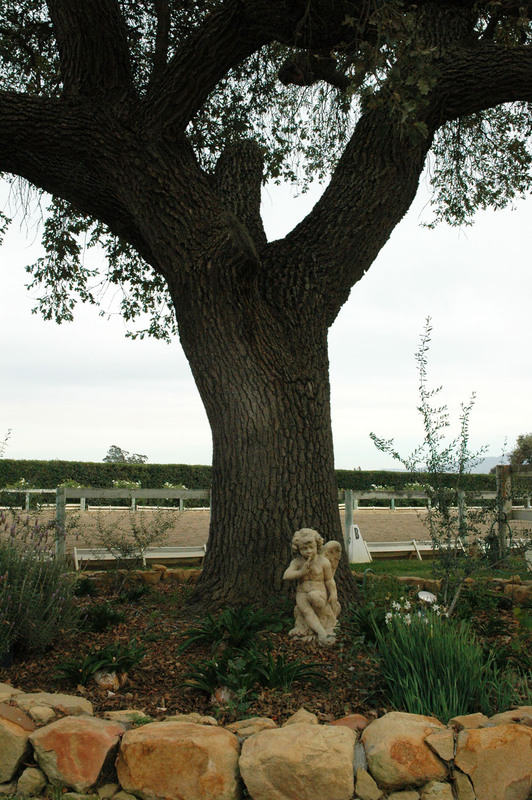 Angels Landing Farm is located on a plateau in Los Olivos, surrounded by rolling pastures and scenic vistas. 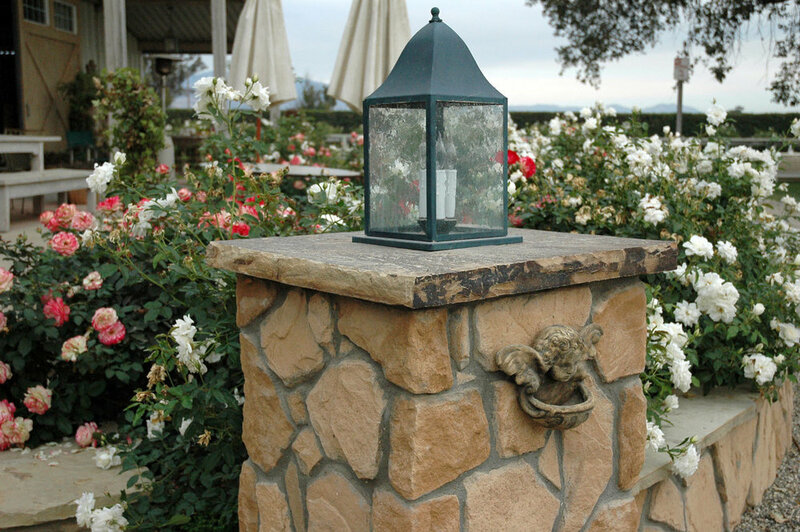 A lavender farm next door shares its gentle scent and calming mood throughout. There is a deep exhale here. The energy on the farm is sanctuary-like and all who reside here are safe which includes: horses of all ages and abilities, cats, dogs, goats, geese, chickens, ducks, turkeys, a lamb and one token salvaged Peacock. Many rescues have found their way here, and they are always the most grateful. The farm’s mission is multifold. The horse training and work provided here have been honed from a lifetime of experiences. There is a continuous attention to detail, with a 24/7 “eyes on” presence and a unique SPECIAL needs capability. The Equine residents are the primary focus. A support team of more than a dozen people with a myriad of specialties is in place. We offer an Equine PhD nutritionist, a saddle fitter and maker of the highest caliber and a farrier team that can address any need on a routine or emergency bases. A group of consulting veterinarians are available for all medical issues. 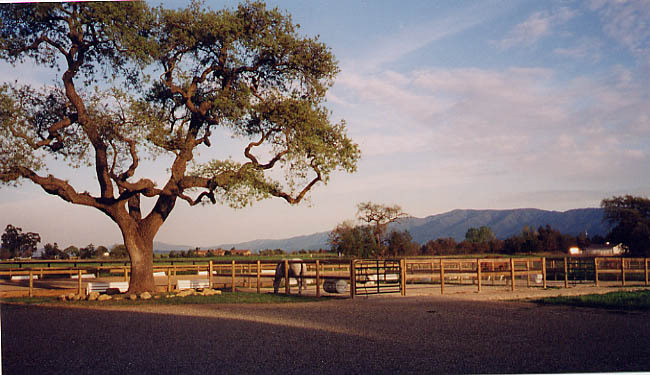 The farm is within walking distance to Alamo Pintado Equine Center, one of the nation’s most prestigious medical horse facilities. Creating a balanced and deeply breathing athlete is one of the primary focuses for the well and active horse. Attention to special needs for the aging and retired horse is another, and finally for those individuals who have been damaged in either mind, body and spirit by the demands of sport, Angels Landing Farm provides an exceptional atmosphere of nurturance and restoration.